Match Catcher is our cutting-edge matched betting software designed to help maximise profits from horse racing refunds. Like Acca Catcher, access to Match Catcher is available to all Platinum members. Match Catcher can help make serious profits from horse racing, saving time and keeping qualifying losses as low as possible. 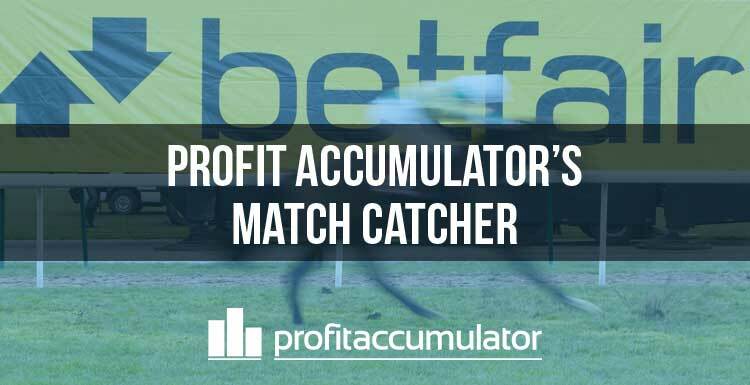 Match Catcher cuts the effort needed to take advantage of horse racing refund offers. Instead of searching through odds manually, up-to-date prices are available in one place and the lay stake is included, so a separate matched betting calculator is not needed. Match Catcher allows members to take full advantage of horse racing refund offers. These reload offers are viewed as one of key ways of making a long-term profit from matched betting. An example would be a bookmaker offering a £25 free bet if your horse finishes second. To to take advantage of this, it is possible to back and lay horses in an attempt to hit the promotion. 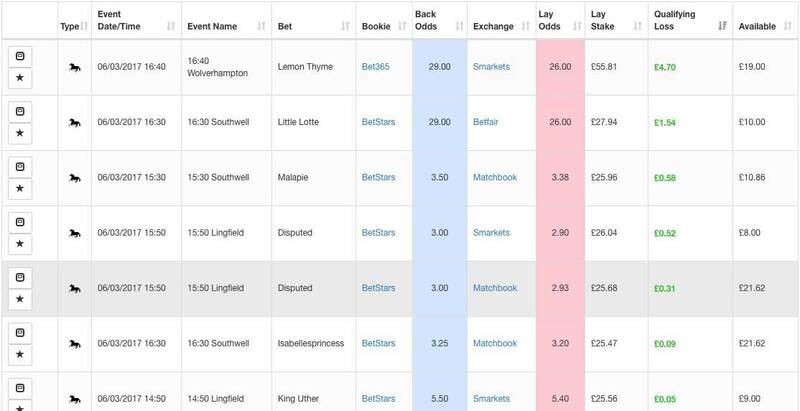 Over time, this can be a very profitable way of matched betting - it's certainly something to consider if you are serious about long-term matched betting. Match Catcher allows users to set alerts, so they can be notified when a particular match is found - leaving you free to get on with your day instead of endless trawling and waiting to find a good match. The key aspect is keeping the qualifying loss to a minimum and to remember it is a longer-term strategy. Over time, it will pay off. It's important to keep qualifying losses low and do as many offers as possible. There are refund offers almost every day but more at weekends and during high-profile events such as the Cheltenham Festival or the Grand National. Match catcher really comes into its own during busy horse racing periods. It's great at weekends, when there are a lot of meetings and bookmaker offers and even better during Cheltenham week. Millions of pounds are bet over the course of the festival and bookies fight tooth and nail for a slice of the action. This means a vast array of betting offers, including refunds. And this is where Match Catcher is so useful. It features real-time odds on all the qualifying markets and can be filtered by bookie and exchange to suit your preferences. Users can also set up alerts to be notified when a match is found that fits a given criteria. Here's what one of our members had to say about match catcher: "The notification feature is my favourite part of it. The ability to set up any race, tick all your requirements and just wait for the audible alert saves hours of scouring the sites and allows you to cover so many more events that you wouldn't have done otherwise." Just like the normal oddsmatcher, Match Catcher allows users to filter results by bookmaker and exchange, as well as the facility to filter results by other criteria such as race time and market type. You can filter by minimum and maximum odds and specify a maximum qualifying loss. You can reset the filters using the 'clear' button at the top of the page. Market availability shows how much liquidity is available in the exchange market. The toggle columns dropdown box lets you chose the information you see and this can be particularly useful when using on mobile or tablet. When you have found a match you like, you can click the links in the software to take you straight to the market for the bet with the bookie or the exchange. Use 'save events' to monitor a bet in a particular market and 'alerts' to be notified when a match meets your criteria. This produces an audible and visual alert every time a match is found that meets your criteria - and this also works on mobile.